I'm excited to bring you a new feature on my blog between now and Christmas. Each Wednesday, myself and some of the Art With Heart team girls will be posting some Christmas card inspiration using Stampin' Up! products from the 2017 Annual Catalogue (starts Thursday) and the 2017 Holiday Catalogue (coming in September). There are 27 weeks until the end of November, so we figured that would be 27 weeks of handmade Christmas inspiration, plus keep us on track with our own creating. Some weeks (like today) I will post a special one off card. 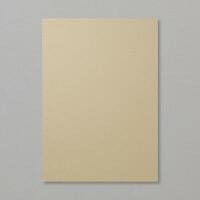 Other weeks I will post a card that can easily be duplicated in lots of 5 or 10. I might even throw in some memory keeping or 3D items too. Here is today's card. The stamp set I have used is a new one in the 2017 Annual Catalogue, called At Home with You. It's a beautiful set to create doorway scenery with lots of different sentiments and bits and pieces which can be added to the scene, You are going to LOVE this set. I stamped the door image onto some of the new Wood Texture Designer Paper stack for a realistic wooden door look. The wreath and potted planters are coloured with the watercolour pencils. The Brick Wall embossing folder creates a nice backdrop. I used some of the enamel shapes in Cherry Cobbler for the baubles on the planters. I hope you have enjoyed our first week of the Heart of Christmas. Looking forward to bringing you many more weeks of inspiration. Art With Heart Team May Stampin' Up! Blog Hop - 2017 Annual Catalogue Sneak Peeks! Hello there. 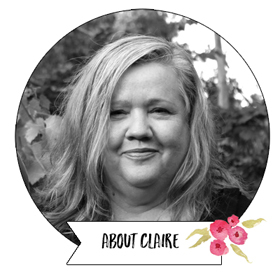 It's blog hop time again with my super talented team members from the Art with Heart Stampin' Up! team in Australia. 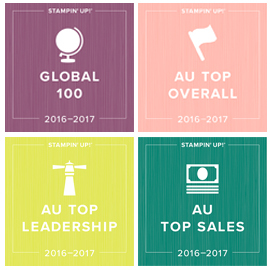 Today we would like to preview some of the amazing new products from the upcoming 2017/18 Stampin' Up! Annual Catalogue which launches on June 1st. Be sure to ask any of the girls along the way for a copy of the new catalogue! 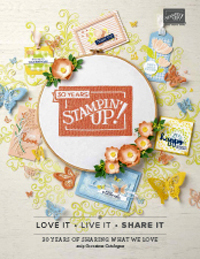 We love to share what we are making with each other and with the stamping community. This is just one of the fun sharing activities we do each month, so if you are looking for a fun community of stampers to join ask us how quick, easy and affordable it is. 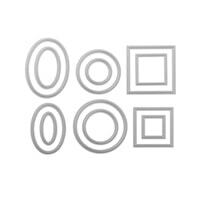 I am focusing on the Daisy Delight bundle of stamp set and punch for my cards. These will be available to purchase June 1st and there is a lovely coordinating Designer Series Paper as well. For this card I have embossed the daisy twice onto Shimmery White cardstock and then watercoloured over the top using two of the new InColours, Powder Pink and Berry Burst. Once dry, I cut out with the daisy punch and layered with a dimensional. The new Faceted Gems (also coming June 1st) are perfect flower centres, They come in clear (shown here) and gold. In my second card, I have featured some of the Beautiful Daisy Designer paper, along with paper from the Wood Textures Designer Series Paper Stack (LOVE THIS!). 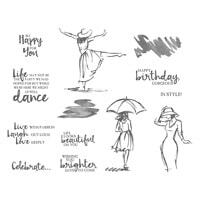 You will also spy a new punch shape, and a new greeting from a great birthday stamp set / bundle called Happy Birthday Gorgeous. This time I have stamped the daisy in Wisteria Wonder ink onto the same coloured cardstock. I have used a cold faceted gem for the flower centre. 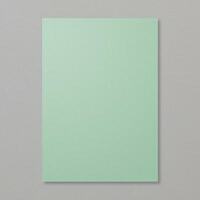 My final card features what I am sure is going to be one of my new favourite colour combinations for the new catalogue - Lemon Lime Twist and Tranquil Tide. This time I curled the daisy petals a little and added some Lemon Lime Ink (which turned out too hard to see because it's such a perfect match to the cardstock). For the flower centre, I have coloured some of the Perfect White Accents (in current catalogue) with a black sharpie and grouped them together. For my background, I smooshed (that is a word you know!) onto a non stick BBQ sheet and then spritzed it and pressed the Shimmery White cardstock onto it (I did each colour separately). You will also notice a new trim - and it's COPPER!! It's a loose -weave copper trim with zig zag stitching and will be available on June 1st. The cool thing is you can spread the fibres out which gives a great distressed look. I have you have enjoyed my sneak peek. I am sure you are going to love everything the girls have for you tonight. We get so excited when it's blog hop night, as the process of sharing with each other is equally as exciting for us as sharing with you! We have such a lovely group of friends in our team and it's great to see some of the newer team members developing the confidence to start blogging and sharing their creations. If this sounds like something you would enjoy, ask about joining our fabulous Art With Heart Team. It is such a friendly and supportive stamping community. Next up on the blog hop is my lovely friend Sharon Davern. Sharon has recently returned to blogging after a longish break so we are very excited to have her sharing her creations again, The blog hop is full circle, so if you have any problems, you can just click on a name below to get started again. Now off to Sharon's Blog. Today I have a card for you using one of the product suites which have been released early from the new Stampin' Up! 2017 Annual Catalogue. You can buy a bundle with these products and a free gift plus 10 free tutorials, during May only. 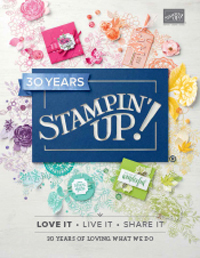 The bundle also includes 3 new Stampin' Up! In Colour stamp pads. This card shows off three of the new In Colour stamp pads, Lemon Lime Twist, Tranquil Tide and Fresh Fig.You will love all the great products in the bundles (the tassels and gold vinyl stickers are GORGEOUS) and you only get the bundle pricing and free gifts and 10 free tutorials if you purchase the bundle in May. Here's a look at what you get in each of the bundles. 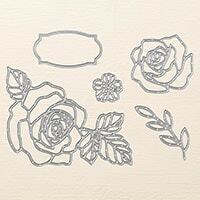 Browse the Eastern Palace Bundles in my Online Stampin' Up! Store 24/7. You will love the 10 free tutorials by myself and 3 other lovely ladies in the Art With Heart team (these will be emailed to you after the purchase of either of the bundles). Enrolments now open for my Marker Club and Stamp at Home clubs - get extra products and monthly tutorials, all from the comfort of your own home. Be quick to sign up. New annual catalogue coming in the second half of May. Anyone who purchases $50 product from me this month will automatically have one sent out (unless you are already on the list). Thanks for stopping by today, see you back here tomorrow for some more inspiration. Had a fun day stamping with a couple of friends last week, and got to play with a new soon to be released Stampin' Up! stamp set called Fabulous Flamingo. It will be in the new 2017/18 Annual Catalogue which I am distributing to my customers this month (click HERE to see how to get yours). I'm not sure where my love affair with Flamingos began, but I totally love them. I haven't seen many in real like, but they are so graceful in pictures and they seem to be very on trend in beach wear, clothing, stationery etc. This is the second Flamingo themed set we have (the other being Pop of Paradise which is more of a solid stamp). I really like that this new one has many different options, with three layers to the stamp. I have stamped the darker pink in Flirty Flamingo ink (I find it works best to stamp that one first), the lighter pink is Pink Pirouette and the outline in black. My background layer and water is stamped in Smoky Slate. New release Eastern Palace bundles available NOW (including 3 new ink pads and free gifts / tutorial with bundle). Today I'm blogging a layered mothers day card I made for 2017, using the Stampin' Up! 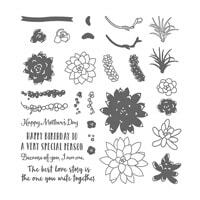 Beautiful You stamp set and the Rose Garden Thinlits. I have used the Affectionately Yours Designer Series Paper (loved the copper foiling in this paper) - This product is retiring, but still available until sold out in the retiring products section of my Stampin' Up! Online Store. I have used the paper piecing technique for the dress, and a block pattern on a later of Crumb Cake cardstock as the second layer on the card. See the links at the end of the post for the remaining products I have used (the greeting is from Oh So Succulent stamp set). Thanks for stopping by today. You can find all the products I have used in today's card by using the links below my signature (te Affectionately Yours Paper Pack wasn't showing, but as of today is definitely still available in the online store HERE) . Have a great day.